Monrovia — Smoking marijuana has caused many troubles for Liberia, rendering some users mentally ill while imposing a ridiculously daunting task on law enforcers to control its usage. The plant, otherwise known as Cannabis, has many aliases in Liberia and very notorious for many wrong things. But elsewhere in the world, the plant is offering tremendous advantages as investors pour in millions of dollars to shape this new sector. However, in Liberia, few people dare venture into talking or writing about the goodies of Marijuana. Maybe, it's the stereotypes that come along with postulating such discussion. But if you think outside the box for a while and without prejudice, you'll see the enormous opportunities that this sector is offering several other economies across the world. In fact, the world is beginning to recognize marijuana for its enourmous good side - health and economic benefits. There's now a booming industry in the United States, Canada, Holland and across Europe. Statistics show that the world marijuana market is expected to reach US$146.4 billion by the end of 2025. Investors are pouring in billions into the sector, while several countries are exploring the medical and economic benefits as well. In 2017, Uruguay became the first country to legalize the sale of marijuana for medical and personal use. And then in 2018, Canada became the first western country to legalize the use of the plant for both medical and recreational use. The North American nation is projected to have US$4.34 billion in sales for 2019 with multiple levels of growth every year-on-year. In the US, 33 states have legalized marijuana for medical purposes and 10 of those states and the District of Columbia have legalized it for recreational and medical uses. California was the first state to legalize marijuana for medical purposes in 1996. Before the end of 2019, it is expected that additional states will legalize the plant, including New York, Illinois, and New Jersey. Israel also has a long history of legal medical marijuana use and this year the government approved legislation that will allow local cannabis companies to start exporting medical marijuana. The Israeli cannabis company "Together" recently signed a two-year deal to supply $300 million worth of medical marijuana to the Canadian market, bought a German marijuana firm for 2 million euros, and operates a farm while also building a factory in Uganda. There are additional Israeli ventures eyeing European destinations such as Denmark and Portugal. This year, marijuana remains one of the fastest-growing industry in the United States job market and it's expected to reach sales of up to US$10.7-$13.5 billion before the end of the year. Approximately, 90 percent of Americans support medical marijuana and approximately 65% support it for all purposes, including recreational use. Currently, the Democrat-led House of Representatives has presented legislation that may bring forth a complete end to nationwide federal marijuana prohibition. In 2017, Lesotho became the first African country to legalize marijuana for medicinal purposes and it also allows licensed marijuana farmers to export the plant when used for medical purposes. The Southern African nation is seeking to capitalize on the marijuana boom by encouraging international investment in cultivation and also processing. The country plans to "cultivate and manufacture pharmaceutical products, nutritional products, cosmetics, and extraction of active pharmaceutical ingredients," says Masello Sello, legal adviser at the health ministry, which is tasked to issue licenses. Lesotho has granted a number of international companies licenses to grow, distribute and export marijuana products. Also, in 2018, Zimbabwe followed Lesotho's lead and legalized the production of marijuana for scientific and medicinal use. Morocco is famous for a marijuana derivative product called hashish and is second only to Afghanistan as a producer of the substance, which employs at least 800,000 people and is worth $10 billion (USD) a year in sales. Scientists have established that the medical application of marijuana can treat a wide range of conditions and diseases including cancer, neurological disorders, anxiety, stress, chronic pain, insomnia and as a proven treatment to help fight drug addiction and alcohol dependency. Although this universal acceptance of the medical benefits is fairly recent, the medicinal use of the plant has historical roots. Ancient Egyptian hieroglyphs show the medicinal use of marijuana dating as far back as 5,000 years ago. Early this year, the World Health Organization called for marijuana to be removed from the UN's Schedule IV classification--the most restrictive category of a 1961 drug convention signed by countries from around the world. WHO has explained that the cannabidiol (or "CBD") compound derived from marijuana, and CBD-focused preparations containing no more than 0.2 percent of the psychoactive compound THC, are "not under international control" at all. According to a Harvard Medical Journal, medicines made of Marijuana can be used for several treatments including easing pain and it is effective for the elderly. The WHO's support for its usage means countries cultivating CBD derived from marijuana would not be subjected to any United Nations prohibition. Ultimately, when the reclassification changes proposed by WHO are implemented, it will represent a major shift in worldwide drug policy going forward. Some countries are exploring the cultivation of Hemp, which is a plant similar to marijuana but it does not contain THC, the psychoactive chemical found in marijuana. For instance, the government of Malawi is now cultivating hemp on a trial basis, ahead of potential legalization for industrial uses such as fabric and food products. The emerging significance of the industry around the world shows that the trend is to roll-back the restrictions and allow for wider application for the medicinal, industrial, and recreational use of marijuana and hemp. Liberia, a country with a tropical climate and rich soil, is in a pretty advantageous position to maximize the economic opportunities this industry is offering other nations. Investors are already eyeing countries in West Africa because of its good geographics. 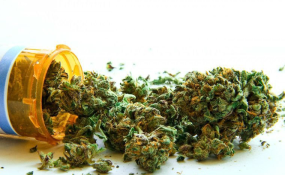 An international firm is now making significant moves to begin the production of medicinal marijuana in Ghana and the West African country is opening its arms too. Canopy Growth is already well grounded in several countries and the industry leader is seeking to venture in West African countries. For Liberia, such a move would be revolutionary although it may take massive efforts to eradicate the misconceptions. Experts say the industry will allow for governmental oversight and a more tightened regulation so that children are not exposed and the marijuana plant is not abused. At the same time, the industry would be a breakthrough for the country's economy, which has expressed willingness to lure investors. Liberia already has the crude expertise for farming the plant which is complemented by its fertile land. Therefore, once the relevant firms' ventures into investing into the sector it would be a booming industry hence creating hundreds of new jobs. The industry would also help minimize the illicit use of the plant and provide a market for farmers who are constrained to smuggle it across the country. For example, Marijuana farmers in Nimba and Bong County would prefer selling their fresh produce to a legal company that will produce medicinal products instead of going through the heck of being arrested and jailed for selling it illegally. Once the illicit sale of Marijuana is reduced, the black market will struggle and abuse of the herb would significantly diminish This new sector would also impact the economy by creating jobs and increasing Liberia's exports.